Many of the people we meet on a day to day basis will be settling for what they have. More and more people are resigning themselves to the fact that their lives are moving out of their control, happiness is being replaced with acceptance. Unlike therapy or counselling, coaching and mentoring starts from where you are now and helps you get to where you want to be. It is a way of supporting individuals to realise their potential and ultimately to discover your best! Coaching is about short term intervention to support those who maybe struggling to balance home and work life. It can help those who have certain ambitions but something is preventing them from starting their journey towards their ultimate goal and individuals struggling with a period of personal change whether this be around wanting to change career because of a lack of progression at work or around style and image. We provide support and mentoring services for both one to one and groups. 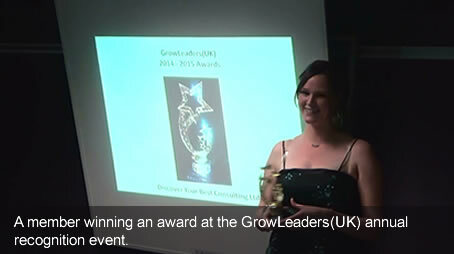 GrowLeaders(UK) and YoungLeaders(UK) are professionally run networks run by us and held at various locations in the East Midlands. It is for people who want to make positive changes to their lives and who can benefit from interacting with other like -minded individuals. The networks use a variety of proven techniques to help members make positive changes to their lives. Members learn how to set positive goals and, with support and encouragement of the group, learn how to take action steps to achieve their goals. We will draw up a personal development plan and help you progress through each stage.